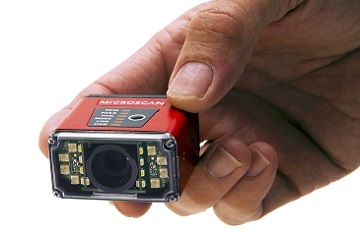 The MicroHAWK ID-40 is the smallest IP65/67 rated true industrial Ethernet barcode reader. A main benefit and feature of the ID-40 is its unprecedented ease-of-use. Installing and using MicroHAWK is as easy as plugging in power and opening a browser. We’ve simplified the process even further by creating an easy to follow video that will guide you step by step in setting up your MicroHAWK ID-40. Compare your data to match string. How can that help with UDI and EU Medical Device Regulations Compliance? FDA UDI implementation is upon us and also the new European Medical Device Regulations have taken concrete shape. Many medical device manufacturers and labelers are rushing to understand and meet the compliance timelines and requirements. 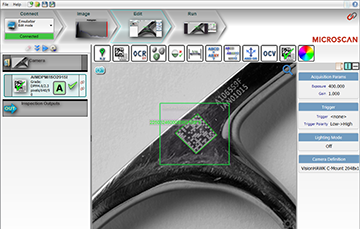 One essential part needed for compliance is a verification solution that ensures symbol and mark integrity. How can you for example check data structure for your company-specific Global Trade Item Number (GTIN) in the GS1 General Specifications? Many of our current customers tend to operate lean and are hyper focused on productivity, yield and quality. In many cases, they may not have teams of people in place that are experts on things like barcode traceability, machine vision or barcode verification. This is where we can help. 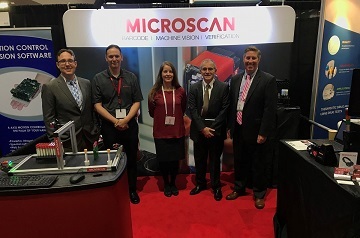 Microscan has dozens of customer-facing employees that have ten, fifteen, twenty, or more years of experience across different industries and applications. 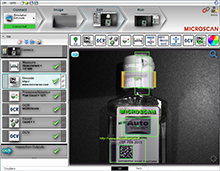 Barcode Scanner VS. Barcode Imager: How do you know which one is right for you? Choosing the right technology for your application is a critical decision, as the wrong selection can result in serious set backs both fiscally and in production. As a manufacturer, you should assess the best technology and product to meet your specific application needs. At a minimum, this assessment should include: cost, size, speed, barcode quality and your application industry. Product recalls are a terrible position for any company to be in. Recalls not only affect profits, but also damage a brand’s reputation for months or years depending on the severity of the recall. 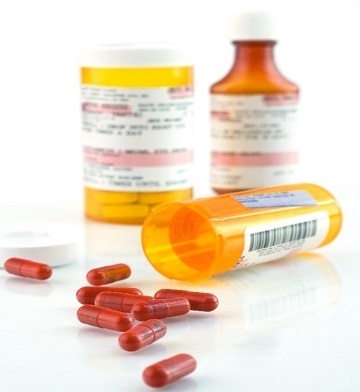 A product recall in the pharmaceutical industry can be especially disastrous, particularly if the recall involves sterile products, medications, or other items that could directly harm the consumer. MicroHAWK represents the next generation of industrial imaging devices – the world’s smallest and most powerful industrial smart cameras, and the only platform that can perform auto ID, machine vision, and barcode verification tasks without switching devices. If you're using automation technology like barcode readers in your operations, you're probably already aware of the benefits that they bring to your business. To name a few: reduced manual labor, faster processes, and reliable data tracking - all resulting in fewer errors and less money invested in corrective actions. Now think about the impact that a single barcode has on these processes. This year's AACC Clinical Lab Expo in San Diego, CA featured advances in diagnostic research and technology, drawing the largest audience in the events history! While there has been an enormous amount of superior groundbreaking research going on in various fields of clinical diagnostics, the overall industry is a technology-driven business. As we walked the floors of the exhibition, the realization of the importance of automation in diagnostic and clinical studies could hardly be overestimated. In the next few years, how laboratories and diagnostic companies operate will lead the future of industry changes, and Microscan is ready to meet those changes. Machine vision is the automatic extraction of information from digital images. A typical machine vision environment would be a manufacturing production line where hundreds of products are flowing down the line in front of a smart camera. Manufacturers use machine vision systems instead of human inspectors because it’s faster, more consistent, and doesn’t get tired. The camera captures the digital image and analyzes it against a pre-defined set of criteria. If the criteria are met, the object can proceed. If not, the object will be re-routed off the production line for further inspection. Leading the effort to make the supply chain safer and more efficient, in 2013 the Healthcare Distribution Alliance (HDA) helped secure a national framework to trace prescription medications through the enactment of the Drug Supply Chain Security Act (DSCSA). The law preempted a 50-state patchwork of pedigree requirements with one federal traceability solution for prescription medicines. Sequentially numbered barcode labels are perfect for many applications that require a unique sequential number in a barcode environment. 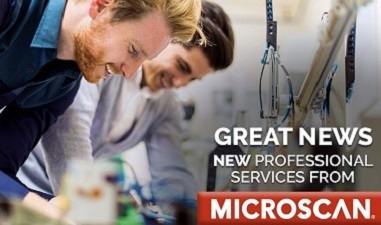 On Monday, July 10, 2017, Microscan launched our new Professional Services programs, offering items such as priority support, new extended warranty programs, and engineering and training from our barcode and machine vision experts. But what does this mean? This blog post will cover all the exciting new options available, how you can take advantage of these new services and programs, and how these services help protect your investment in barcode, machine vision, and verification technologies. Extraordinary, inspiring news reached our Microscan office in Renton, WA a couple of weeks ago - Christoph Strasser, a record-winning ultracyclist, sponsored by Microscan, won the Race Across America 2017! The solo division of the RAMM 2017 race started in Oceanside, California and ended in Annapolis, Maryland (3070 miles/4941km). Racers had a maximum of 12 days to complete the race, most finishing in 11 days – Christoph Strasser finished in 8 days 9 hours 34min with a total of 8.5 hours sleep!